New year, new beginnings—for a lot of brand new electric cars, that is. In 2018, the number of electric vehicles on the roads is expected to increase from three to five million. There's potential for this year to be the one where the "hockey stick growth" becomes a reality. 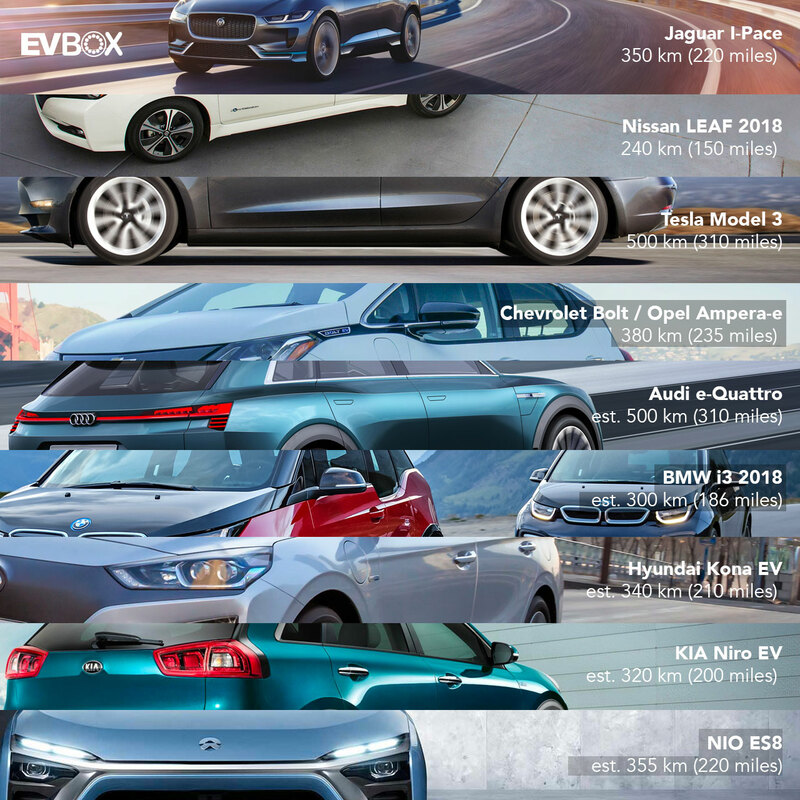 It's quite the jump, but the number of new electric car models coming out this year might just give it the extra nudge it needs. Here’s our shortlist of the biggest models coming out this year! 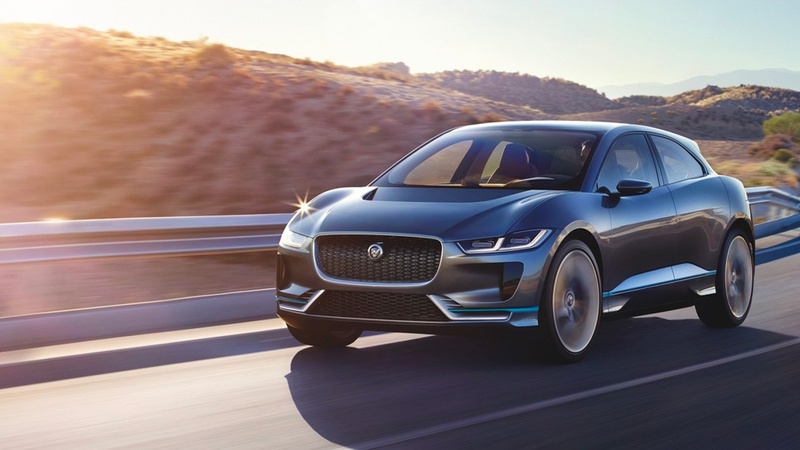 With a launch in the next few months and production in the second half of 2018, Jaguar’s first all-electric car will likely be one of the first to hit the market next year. The sport SUV is equipped with a 90-kWh battery pack with an EPA range of 350 km (220 miles). The 2018 Nissan Leaf looks sleeker than its predecessors, with a longer range and a new e-Pedal for both accelerating and braking. 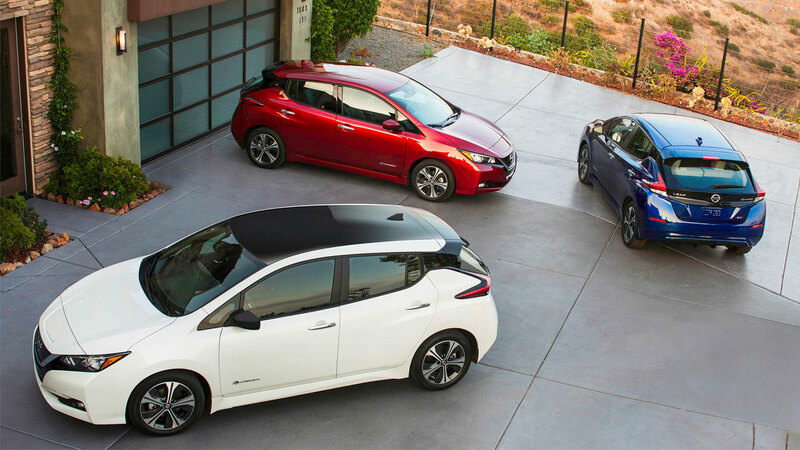 The new Leaf has a 40-kWh battery pack and can travel up to 240 km (150 miles). The price is expected to be around € 35,000 before incentives. Both the Tesla Model 3 and Chevy Bolt have already hit the roads in 2017. However, due to production and delivery issues, they haven't entered every market just yet. If all goes well for Tesla, the first deliveries abroad should happen in Q3 2018, with Canada, Mexico, and China having priority over other countries. Norway, The Netherlands, and Germany should be able to get their first units in that quarter too. Ampera-e will be again available for order in January 2018. The Ampera-e is also part of an electrified quartet that Opel is set out to launch by 2020. Audi's upcoming Tesla Model X fighter is nearly here! It will start the new era of fully electric Audis under the e-tron brand. 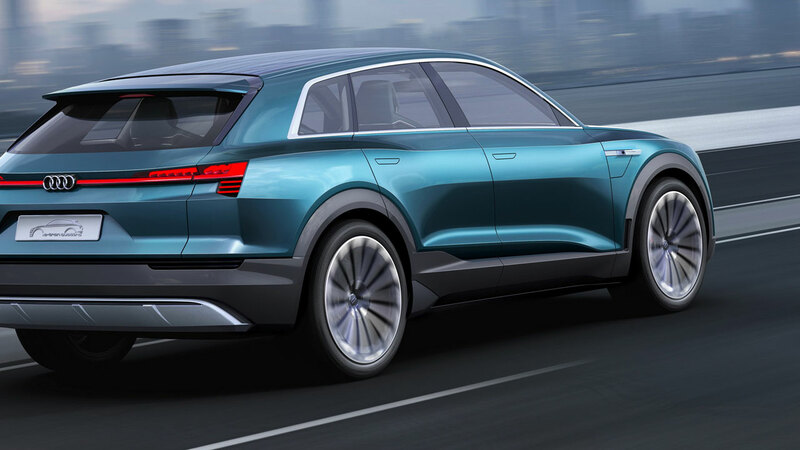 The new Audi e-tron Quattro has a battery pack of 95 kWh and is expected to drive up to 500 km (310 miles) on a single charge. The release is slated for the second half of 2018. The price will be around € 90,000. After a battery upgrade in late 2016, the i3’s range will improve once again in 2018. 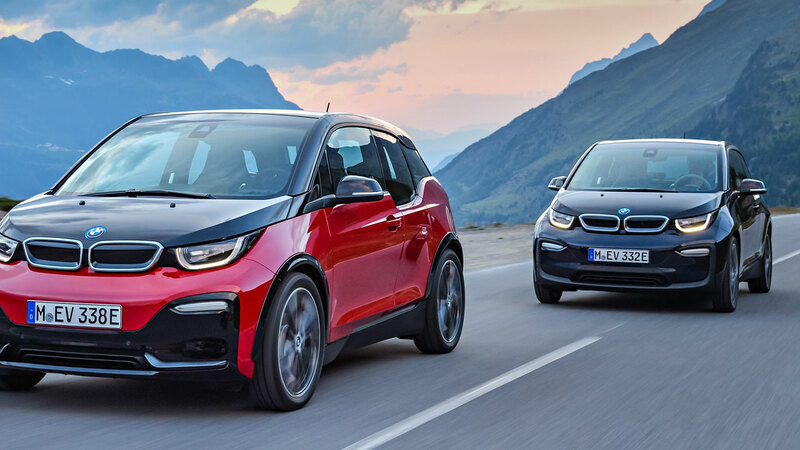 The new i3 will be equipped with a 42.5-kWh battery pack and will see a range increase of over 50%, from 190 km (118 milesto more than 300 km (186 miles) on a single charge! The model is expected to arrive late 2018 in the US and European markets, at a price between € 35,000 and € 40,000. 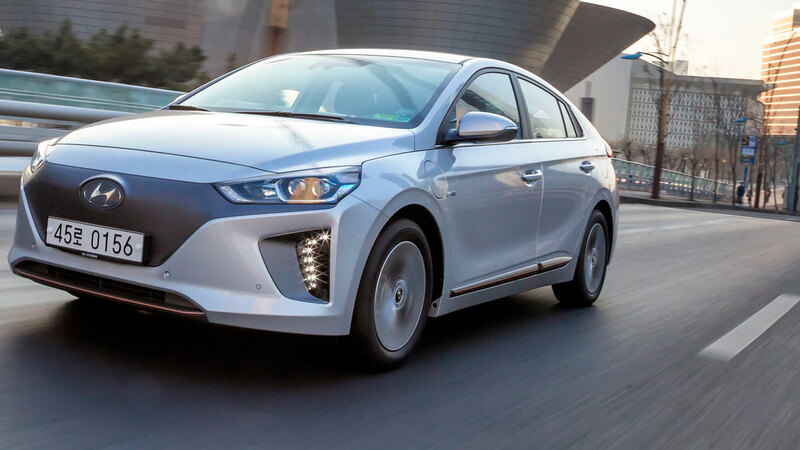 After massive success with the IONIQ, Hyundai enters the new year with a smaller electric car — the Kona EV. The car is expected to hit the roads in the second half of 2018 at a price of € 35,000. The 50-kWh battery pack enables a range of 340 km (210 miles) on a single charge. 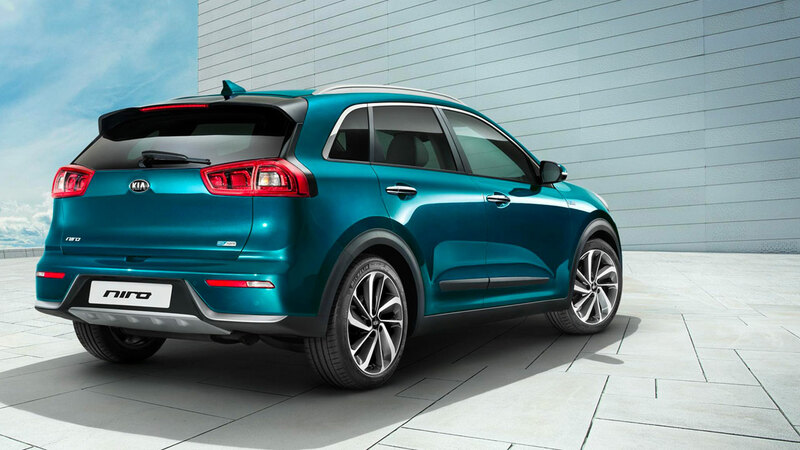 KIA is debuting the new Niro EV at the 2018 Consumer Electronics Show (CES) in Las Vegas this week. This should finally bring in some attention for the brand, as it's looking to evolve its offering beyond the KIA Soul and Optima. The specifications have yet to be confirmed, but the Niro is expected to match the Kona EV, with a 50-kWh battery pack and a 380-km (238 miles) range on a single charge. It's predicted to hit the roads by the end of 2018 with a price between € 30,000 and € 35,000. 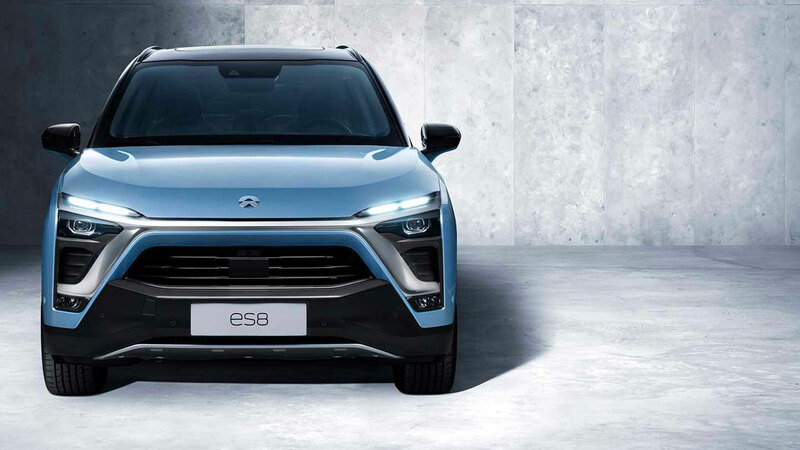 Chinese electric car startup NIO recently launched the NIO ES8. This sporty SUV goes 355 km (220 miles) on a single charge, and has actually entered the Chinese showrooms already. We wouldn't be surprised to see this one hitting European roads by the end of 2018. While I've only listed fully electric cars (BEVs) above, it's worth mentioning that plug-in hybrid vehicles (PHEVs) are still doing a good job bridging the transition from internal combustion engine (ICE) cars to fully electric ones. A plug-in electric helps consumers get used to the charging experience and, slowly but surely, fall in love with BEVs. For 2018, I think the following PHEV models will be able make a dent in the market: the Audi Q5 e-tron, the Volvo XC40 PHEV, and the Range Rover P400e. All three of them sport a range of 50 km (31 miles) on a single charge. 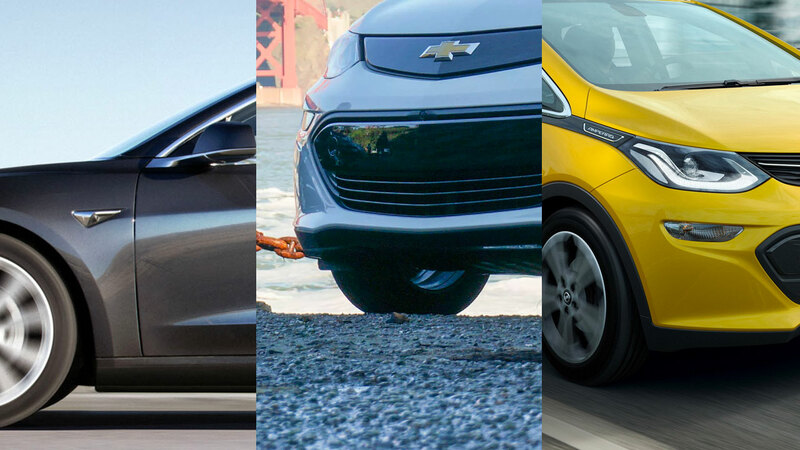 Follow your favorite brands, visit a showroom, or bookmark this handy page, and we'll keep you posted about the specifications for these new electric cars.